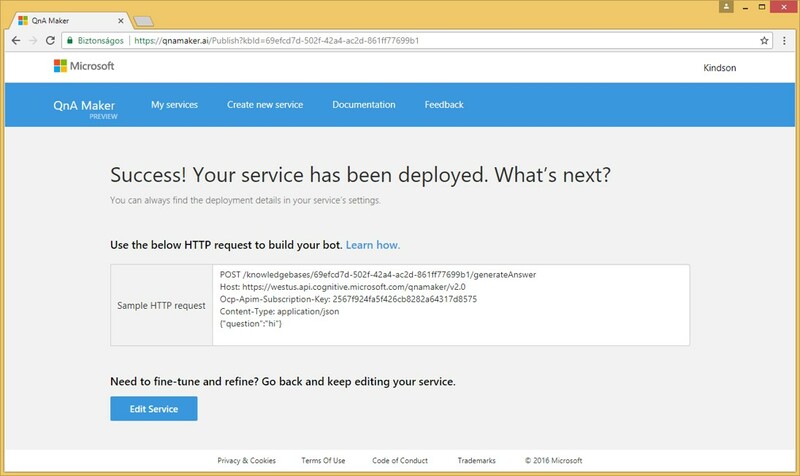 This Bot Framework tutorial follows from the Tutorial 4 where we create a Question and Answer Bot. 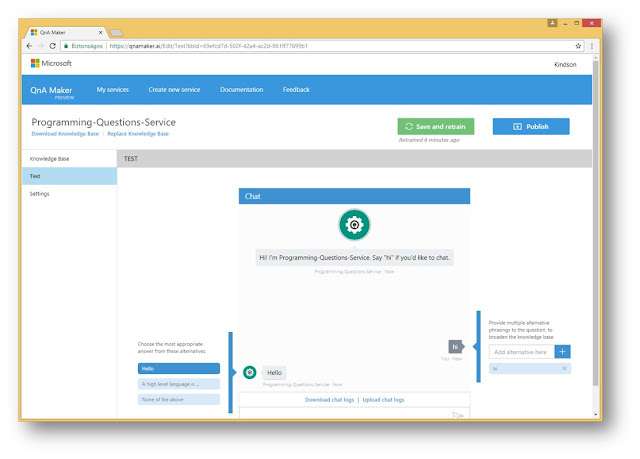 In this tutorial, we would focus on improving the functionality of our the question and answer bot so that it can give more intelligent answers to questions. For this tutorial, we would start with a basic list of computer programming questions. You can view these questions from here. You can add more questions to this list. Just leave the question in the comment box under the list. You could also leave the question in the comment box under this tutorial. If you have the answer to the question you could provide it along with the question, if not, then we would provide the answer and add it to the list in a short time. If would like to have access to the Programming Questions and Answers page, then mention that in the comment box, as well as your email. After verifying that the request is authentic, then we would provide you with a link to edit the questions and answers list and add your own questions. 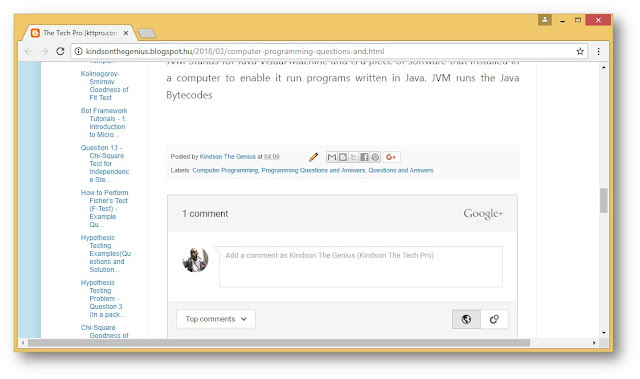 Now you need to enter the url of the knowledgebase. The knowledgebase is simply the list of question and answers we already have. After some seconds, the knowledgebase is created as shown in Figure 4. Notice that the system recognizes which text is a questions and which is the answer to the question. Also, any image is the file or text that is not question and answers are ignored. Step 2: Enter some of the questions we have in the list and observe the response. You would observe that it gives the correct response. However, you entered the questions exactly as it is because you already have the list of question. 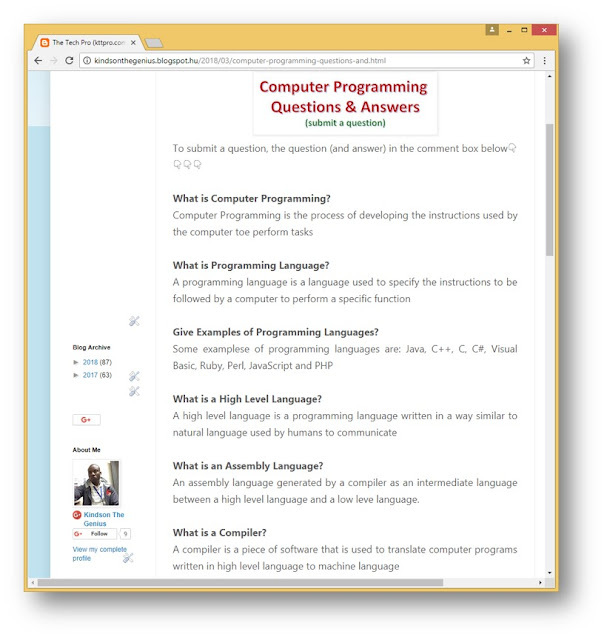 But a user trying to ask questions about computer programming may ask questions in a different way or with different wordings. Can you tell me about JVM? What does JVM stand for? Step 1: Try to enter this three questions and what do you observe? Give answer in the comment box below. Step 2: Now Enter What is Java Virtual Machine. Training would help us fix this. 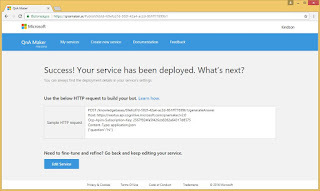 Step 3: Now enter What is JVM, so that is gives the right answer. What are some Languages in Programming? Also take some time to train the service to handle other variations of the other questions in the list. Remember to click on Save and Retrain when you are done with the training. Now, you can see Success page. In this page you will find the KnowledgebaseId and the Subcription Key. Step 3: Copy and save this output, because you will need it in the nex tutorial. You will need to do this by yourself. 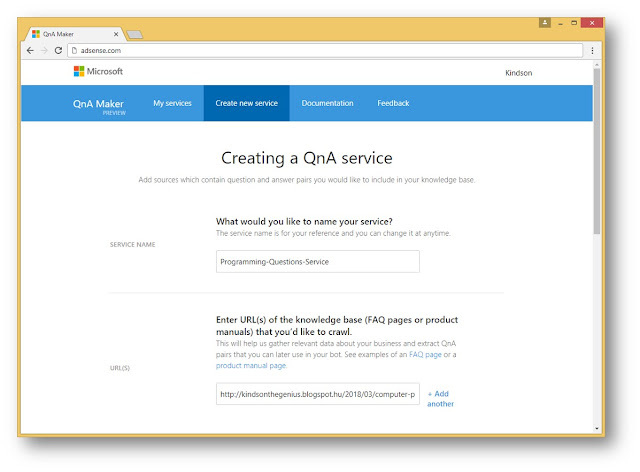 Now we have a working qna Service and we have a question and answer bot. This is interesting because in the next tutorial we would examine how allow users to use this bot for free. For now I would like to thank you for the time spent learning. Do leave a question or observation if you have any.